How many times have you been stuck when trying to come up with a budget or forecast for the next period (or next year). 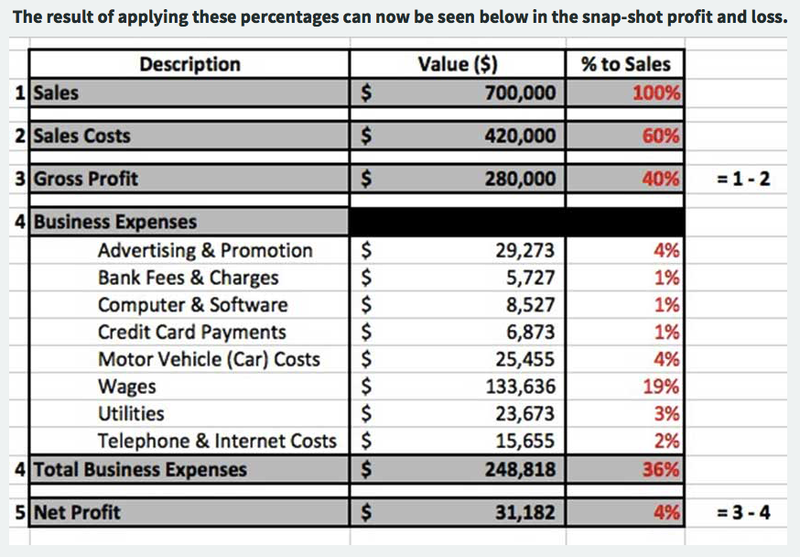 Well here is a quick budget template that you might find helpful in developing a quick snap-shot budget. So let's assume that is how your business finished up last year. Now you need an indication of what to expect from a profit and loss perspective for the next period/year. This is easy to do, all you need to know is what is your target sales or revenue number, once you have this you simply apply the same % to sales to each of the elements of the the new profit and loss. So now you have a very quick way to achieve a snap-shot profit and loss for the upcoming business period using this budget template method.